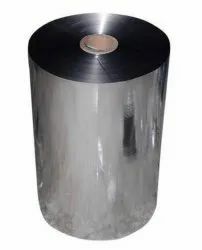 Incepted in the year 2008, we Madhuram Ploy Films are one of the trusted names that are engaged in manufacturing and supplying an extensive range of Fully Automatic Dona Making Machine, Paper Plate Making Machine and Paper Plate Material. The offered array of these products is manufactured by our experts using premium quality raw material and advanced machines. These products are renowned for their high performance, abrasion resistance and durability. 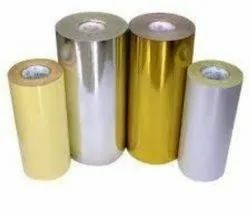 Our polyester films are fabricated using superior quality plastic. Also, the sequence rolls can be availed in different shapes, sizes and colors as per the specific requirements of our clients. Further, our hot stamping foils are used for decorating wood, leather, plastic and paper. The lamination is extensively used by various companies to provide a protective layer on their packaging. We have a team of diligent professionals, which helps us in offering best quality products to the customers. These professionals put their sincere efforts to acquire higher level of clients’ satisfaction. The products are strictly examined by our quality controllers before their final delivery. Owing to the excellent quality and timely delivery of our products, we have been able to expand our client base across the country.